The venue was perfect in terms of seeing them play. Having seen Pete Tong and the Herritage Orchestra at the O2, this was even better. We had an amazing time, it was an incredible performance. However, in terms of the venue, not enough toilets, constant queuing, can we have more next time!!! "Great show, shame about the queues"
The main act was brilliant. Cannot comment on support acts as we spent over 45 minutes queuing for the bar and 30 mins queuing for the toilets. The organisation was a shambles. There was plenty of room for extra facilities why wasn't it used? All tickets were sold so there is no excuse to have too few facilities especially toilets. Pete and the orchestra were amazing, Cardiff castle was a great setting, bar and food were well organised, toilets were the only downside; you wasted a chunk of the performance trying to get into a porta-loo, just need to double the loo order next time guys! Great event in a great venue ( Cardiff Castle). Pete Tong & the Orchestra were simply brilliant, the singers were fantastic too, if you get the chance to see this...GO! Amazing music... toilet queues completely unacceptable and also bar queue. Join him when he takes over Lytham Festival 2018 on Thursday 19th of July 2018. 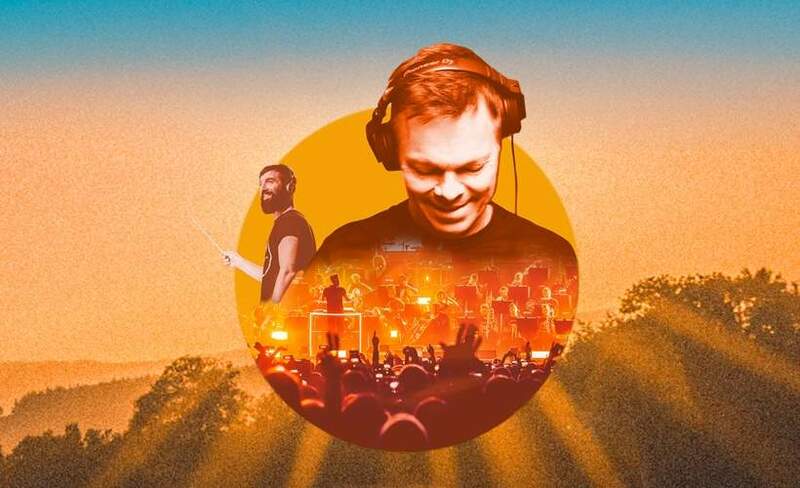 Plus, Pete Tong & The Heritage Orchestra Perform Ibiza Classics in the gorgeous grounds of Cardiff Castle on July 28, bringing their Mediterranean dance party to the walled garden in the heart of the capital on Saturday 28th of July 2018. We are incredible excited to be able to offer you Pete Tong tickets, but we must also make you aware that the demand is incredibly high so you will have to book yours before they are all snatched up. Fortunately, placing an order for your favourite gig tickets is made easy with Gigantic as you can access our site from the comfort of your home or whilst busy and on the go using a computer, smartphone or tablet. Gigantic knows just how busy your lives are, and so we highly recommend you set a personal reminder. Then, we can alert you with a text message or an email just prior to their release at 10:00 on Friday 27th of April. When all is said and done, one shudders to think what dance music would have been like without Pete Tong’s influence. Over the years, he’s played a crucial role in breaking new artists and changing the way people think about electronic music. With his new-found home in Los Angeles, the British icon is looking to revolutionise the perception of dance music in America. If there’s anyone up for the task, it’s Pete Tong. The event organisers have only given us limited supplies of Pete Tong concert tickets, so with only so many on offer you will need to act fast and book early to avoid being left disappointed. This year has seen Gigantic take home the prize for Nottingham Post’s ‘Retail Business of the Year 2017’ because of our vast array of essential gig tickets plus our excellent customer service, so you know we are the right place to come whenever you are booking for your big night out!